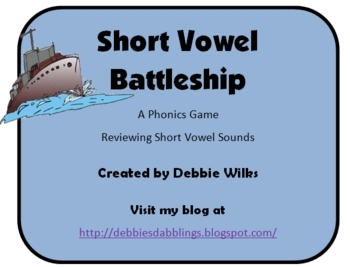 This phonics game is a fun way for students to review words with short vowel sounds. This game pack includes four differentiated versions. 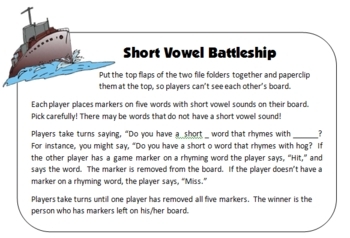 There is a game set for students who need to focus on cvc words with single consonants at the beginning and end or the word and a game board with cvc words with beginning blends. 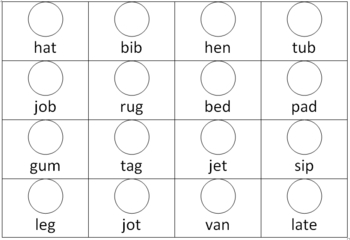 There are two additional game sets that have short vowel words, but have more complex words which include beginning and ending blends and digraphs. Preparation of the games is easy Ã¢ï¿½ï¿½ all you do is run off the game boards and glue them into file folders. Students paperclip the file folders together to create a barrier and mark five words on their boards. The game is played like Battleship. 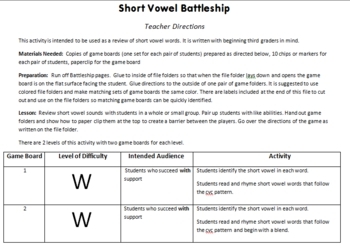 When you download this game set, you get 4 differentiated versions of the game, teacher directions, student directions, and labels for the file folders.